If you have any questions about corporate services, events in the community, your utilities or taxes, please don't hesitate to Contact Administration. a resource wall with information on many different topics. Jennie Thompson, FCSS Coordinator, is happy to answer whatever questions you may have. Office hours are Tuesday & Thursday, 9 am - 3 pm, and Wednesdays by appointment, unless otherwise posted. Bi-monthly newsletters are mailed out to all residents who receive flyers in Cremona, RR 2 Crossfield, and RR 2 Carstairs, and are available for free pickup around Cremona and Water Valley. If you would like to be included in our "newsletter reminder list", please drop a line to fcss@cremona.ca. 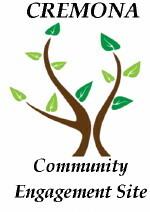 Any not-for-profit group in the Cremona and Water Valley area is welcome to submit information. 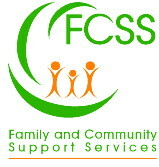 To find out more about Family & Community Support Services (FCSS) in Alberta, visit fcssaa.org. The Village of Cremona operates two separate cemeteries. 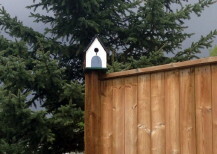 They are set in one of the most beautiful parts of Alberta and provide a peaceful and tranquil resting place. 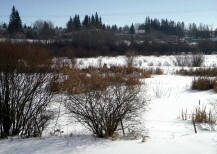 The older one, established in 1936, is located approximately 1 km east of Cremona on Hwy 580. It overlooks the newer cemetery, established in 2000, directly to the east. 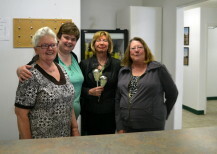 The Cremona Community Engagement site promotes lifelong learning in our rural community. Through this facility, continuing education and leisure programs are offered, including those focused on health and wellness. CES partners with Campus Alberta Central, which is a joint venture between Red Deer College and Olds College, to provide stewardship to meet the learning needs of the communities of Central Alberta. This allows learners to participate in post-secondary education courses from their own homes or community. The CCES provides a venue for these interactive, educational opportunities and offers on-site support to participants. The facility is located in the Cremona School with a dedicated entrance to the learning site on the S.E. 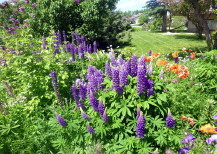 corner. High speed internet is offered for those who cannot access the internet because of geographical challenges. Rooms are also available to rent for meetings or classes. For more information, contact the coordinator by phone at 403-337-4277, by e-mail to coordinator@cremonaces.com, or visit www.cremonaces.com.